In the Linux operating system for partitioning on the partition utility fdisk. It has nothing to similar utility available in DOS and Windows. This applies to the commands used to manage the program. 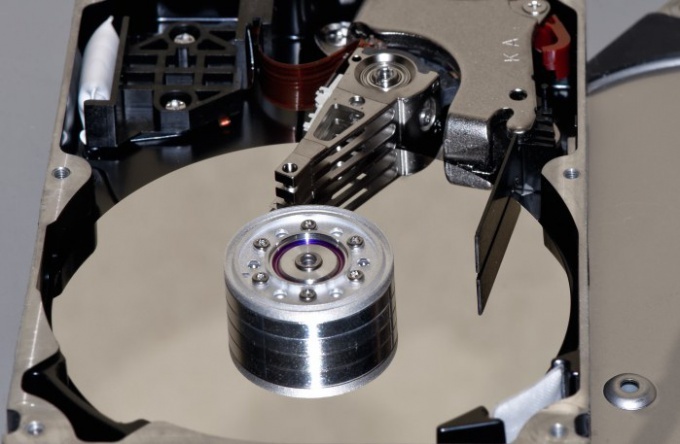 Make a full backup of all data stored on the disk previously. After pererazbiyeniya partition structure all information on the disk will be inaccessible. Even if it would be recoverable, this will give the drive to the Studio, whose services are very expensive. Unmount all partitions of a disk to be split. For example, if the flash drive has received after joining the name /dev/sda mounted partitions sda1 and sda2, their unmounting produce the following sequence of commands:umount /dev/sda1umount /dev/sda2Если to implement the unmount fails, close all applications that access the drive, then try again. Disconnecting the device the eject command is not performed, otherwise it will not be available until the computer is restarted or until the next reconnect (if it is removable). The interface of fdisk is a command-line, however, unlike the program with the same name in DOS and Windows, there are no numeric and alphabetic. Each of them consists of only one letter. To see the full list at any time by typing m.
Find out what partitions are available on disk at the moment. To do this, type the p command. Remove all existing disk partitions. To delete each of them first enter the d command and then, in response to the request is the partition number you want to delete. Clearing the disk of existing partitions, let's create a new one. To do this, use the n command. After it is entered, specify whether the partition to be primary or secondary, specify the start and end points in blocks or cylinders depending on the version of the program. With the help of a command, specify which partition should be bootable. In case of an error, exit the program without saving changes command q, and if all is done exit and save using command w. Then format each partition except for swap. Use a program such as mkfs.ext3.